Assassin's Creed will be taking something of a break in 2019, much to the delight of fans who have been asking that Ubisoft take some time away for some time. Ubisoft head Yves Guillemot confirmed that the team would be stepping away a bit during Gamescom 2018, via GameSpot. "We had a game and we have one this year, but we are not going to have a full-fledged Assassin's next year," he said. "It's just because the team was working separately, so we have two games now, one year after the other. But next year you're not going to have a fully-fledged one." Assassin's Creed Odyssey will be launching just a year after Assassin's Creed Origins, which has had fans questioning whether it can maintain the quality and integrity the series has tried to keep up over the years. It's had some very obvious missteps over its lifetime, such as the debacle with Assassin's Creed Unity's various bugs and glitches when it released, so fans are hoping this won't be the case with rushing another game to retail as soon as possible. 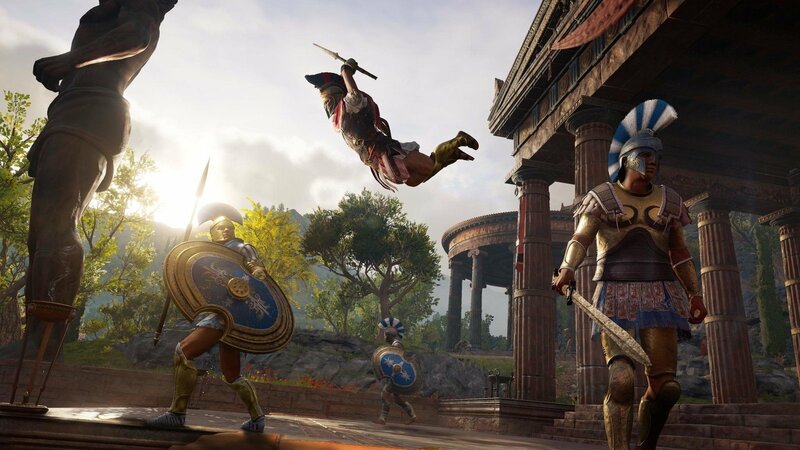 But fans will still have plenty to look forward to when it comes to Assassin's Creed content later this year, as expansions for Odyssey are in the works. "What you'll have is lots of content coming on [Odyssey]. The team really want to give, on a regular basis, some new possibilities for play, so when you get [Odyssey] this year, you're going to get in for a couple of years, actually." Assassin's Creed Odyssey is headed to Xbox One, PlayStation 4, and PC on October 5. This is a good move IMO. I would still love to see them do some sort of Eastern setting, perhaps a feudal Japan era game. Ninja's Creed..
I’m surprised Odyssey is coming out a year after Origins. I thought they were aiming to slow down. In other news Ubisoft excitedly announced the launch of a brand-new franchise, Killer's Code. In it you play Armand Miglio, the descendant of several lines of distinguished Killers throughout history. Armand is kidnapped by the secretive group Absurdo and forced to interact with a device they built called the Luminus. Their goal is collect ancient items known as the Fragments of Shangri-La, which they believe possess great power. I'll be honest here: I have never once finished any Assassin's Creed game, but I still rate them as some of my favorite of all time. About halfway through my time with them I completely forget whatever story I'm supposed to be following and just have a great time running around the world doing side stuff and climbing buildings and killing dudes. I'll dump anywhere from 50-80 hours in them and feel like my time was well spent. Love the games, don't really care about the story. That said, I think I'm taking a year off as well. I'm still playing Origins and don't need what essentially amounts to more of the same.